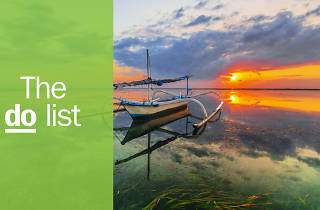 Kuta’s sophisticated neighbour on the southern coast of Bali, Indonesia is home to a glittering line-up of luxury hotels, wallet-wrecking boutiques, city-rivalling restaurants and things to do. Seminyak is also something of a night owl, with bars and clubs scattered along its beachfront like shiny seashells. During the day, adventurers can pick from oceanic thrills such as surfing, scuba diving and beach-hopping. 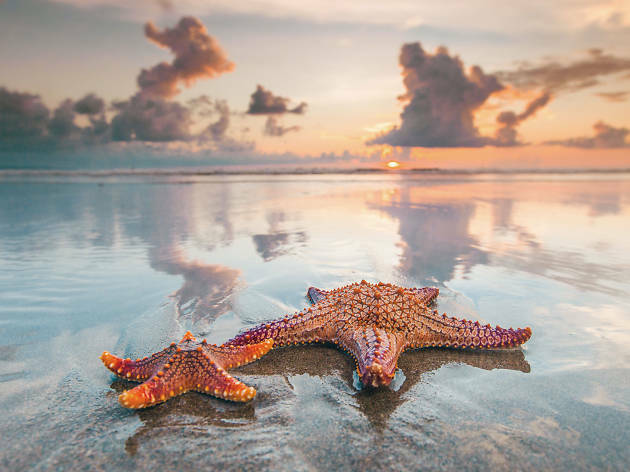 But, if you’d prefer to just starfish on the sand, you’re also in exactly the right place. Ready to explore? What is it? Good things come to those who… look hard. This iyengar yoga haven isn’t easy to locate – but once you’re there, amid the resident chickens, geese and dogs, you’ll agree it’s well worth the effort. The studio is housed in a traditional Balinese building, sitting pretty within blooming-lovely emerald gardens. Why go? The elastic-limbed main man and owner Olop – born in Indonesia, trained in Europe – is an incredibly encouraging and skilled teacher, whatever your ability. Choose from multi-day courses or single two-hour sessions. Warning: the studio’s official schedule is as elusive as the studio itself; good luck finding it. What is it? Just to be clear: Ku De Ta is not the best restaurant in Seminyak; it’s not the one and only place to toast the sunset; it is not an authentic Balinese experience – but it is an essential item on a tourist’s tick list. A favourite with Seminyak’s international jetset, this beachfront restaurant, bar and beach lounge woos with a soulful soundtrack and prime Indian Ocean views. Why go? Come for cocktails, come for bar snacks, come for dinner – heck, you could even come for breakfast or brunch, since Ku De Ta kicks off proceedings at 8am and wraps up late. What is it? 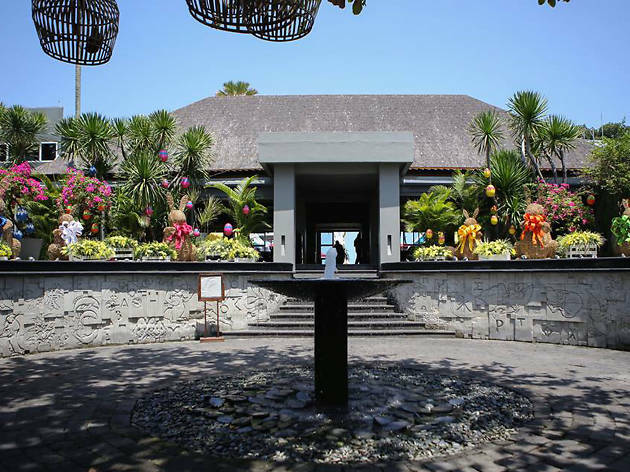 It makes sense to mention Potato Head and Ku De Ta in the same breath – they’re both iconic Seminyak scenesters with all the requisite Balinese charm: beach X-factor; a knack for tropical libations; delicious food; glam crowd. Indonesian architect Andra Matin is the man to thank for the open-air, amphitheatre structure, which stars a vibrant mish-mash of coloured antique shutters, salvaged from across Indonesia. Why go? 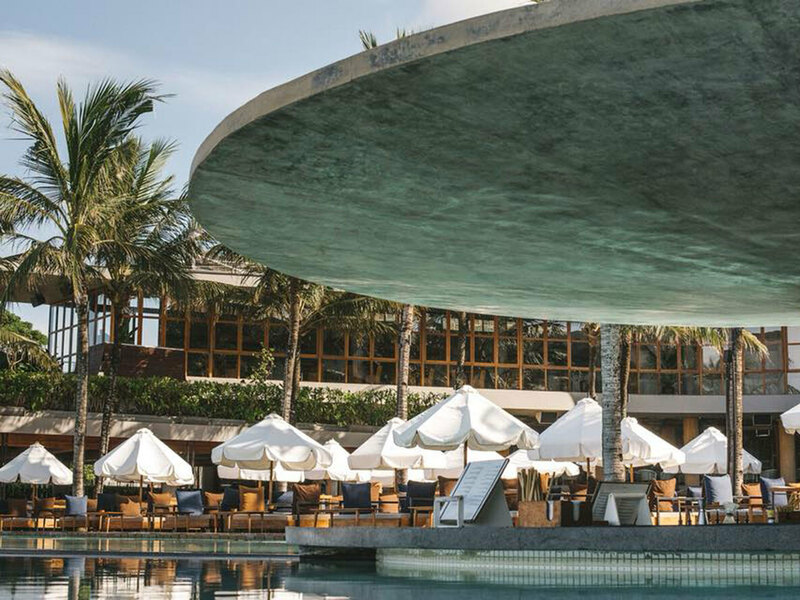 Potato Head is more kingdom than club, with three on-site restaurants to choose from, plus three bars, an infinity pool and large lawn, all overlooking the ocean. What is it? Indonesia has centuries’ worth of wellness knowledge under its belt, so be sure to fit in some spa time in Seminyak. There are a whole holiday’s worth of sanctuaries to choose from, but Bali Gift Spa is a safe bet, home to air-conditioned treatment rooms and nimble-knuckled masseuses who fuse Balinese traditional techniques with Western methods. Pick from the usual spa-menu cast of pedis, manicures, facials and massages. Why go? If you’re in serious need of R&R, opt for the Shirodhara Gift, which includes a back, shoulder, chest and face massage, an application of warm herbal shirodhara oil to the forehead, a head massage, hot shower and servings of warming ginger tea. What is it? 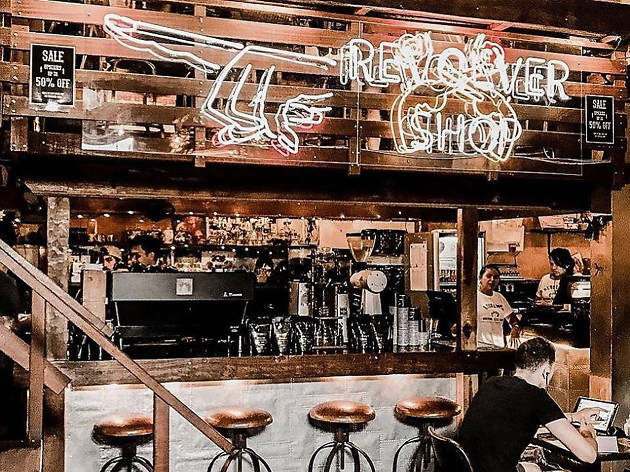 Caffeine-junkies can put a pep in their step via a trip to Revolver, which bills itself as a boutique coffee house and café – and arguably serves Bali’s best coffee. The main Seminyak outpost is constantly abuzz, thanks to an espresso-thirsty crowd who also flock here for the food (the flavour-packed salads are a highlight). Why go? Get your coffee fix and cool off from the sun in one fell swoop by opting for one of the refreshing, chocolatey, caramelly cold brews, rustled up for you by an obliging Indonesian barista. What is it? Swap sun-sea-and-sand views for contemporary art by a roll call of local and international talent at Nyaman Gallery. Its collections encompass jewellery, clothes, glassworks, paintings, photographs, sculptures and more. Why go? Admire work by Bali-loving creatives such as Evgeny Bam (a Russian illustrator and street artist who was initially drawn to Bali for its surf culture), photographer Stephan Kotas, and French photographer-turned-painter, Jean-Michel Aucler. Traditional arts – featuring beads and feathers, wood, stone, bone, shell, and metal – get a look-in too. The gallery also offers consultations in scenography and interior design. What is it? Accredited surf school Santai is run by friendly husband-and-wife team Gede and Henny. 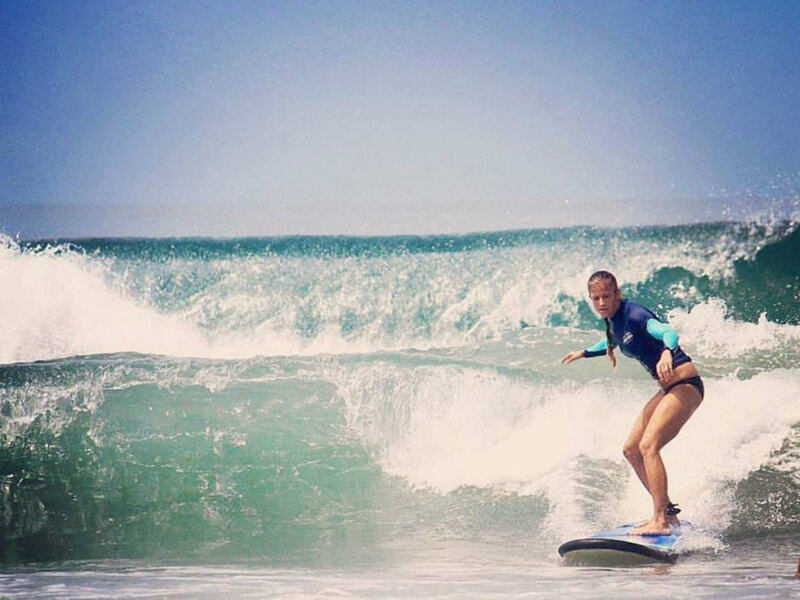 Pick from private or semi-private lessons and surf guiding; the company specialises in beginner and intermediate tuition. Why go? This freelance surf school guarantees to take you to the best waves at the best time, offering a pick-up service from your hotel. Friendly, expert instructors will put you at your ease before you can say ‘cowabunga’. What is it? 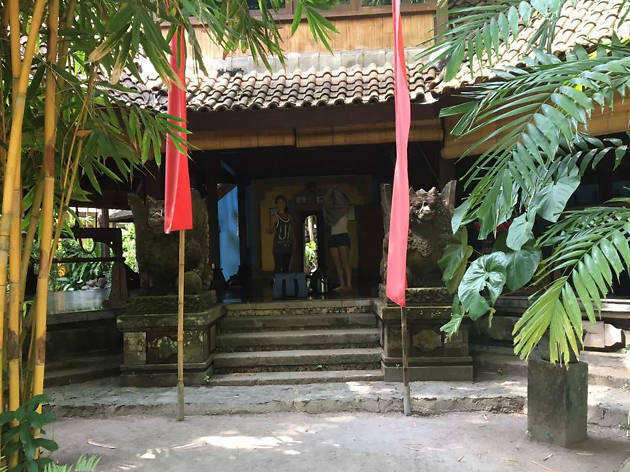 Anyone who claims that Seminyak lacks culture should look to Pura Petitenget, an ancient and culturally significant sea temple – and an unlikely neighbour to Seminyak’s five-star resorts. Why go? Objects for your attention here include the impressive courtyard, dragon-shaped staircase, and fabric-adorned shrines and pavilions. 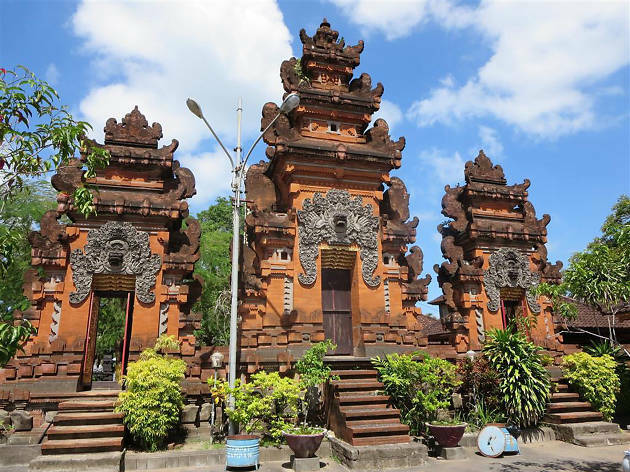 This temple belongs to Bali’s Dang Kahyangan collection of sea temples, founded by the legendary Hindu priest Dang Hyang Nirartha in the sixteenth century. For more Seminyak temple thrills, visit Pura Masceti, an important agricultural temple. What is it? This lively night market is your passport to some of Indonesia’s finest culinary creations: start with nasi goreng, mi goreng and satay sticks from one stall, then switch it up with just-barbecued prawns and fish from another. Get here anytime after 6pm – and bring your culinary curiosity. Why go? If you want to tick off a holiday’s worth of local dishes in one sitting, this is your best bet. 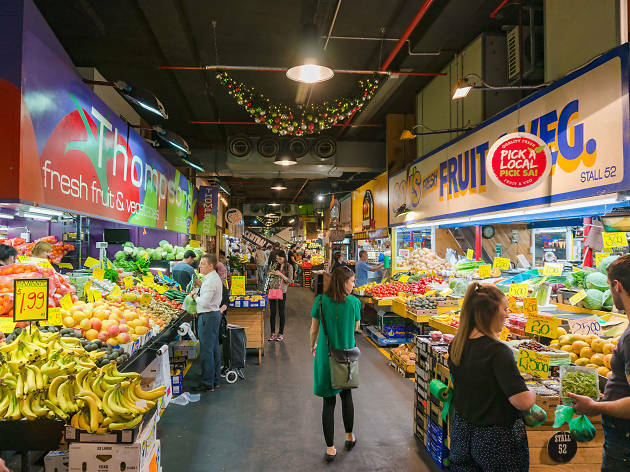 Wander around breathing in the sights and smells and enjoying the wallet-friendly wealth of options. What is it? 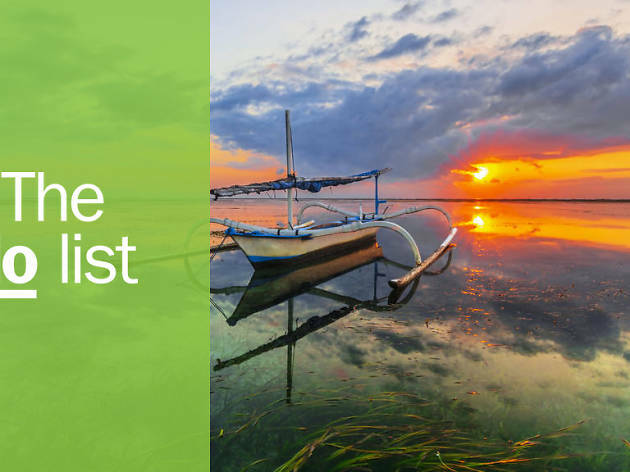 Extending from the outskirts of Kuta all the way up to the coastal corners of Canggu, Seminyak Beach offers plenty of choice when it comes to sun loungers and sunset spots. By day, it’s a surfer’s paradise. Why go? Beach-bunnies will go weak at the knees for this sparkling, five-kilometre stretch of golden sand, dotted with beachfront bars, boutiques, restaurants, cafés, five-star stays and adventurous watersports companies – all of which act like catnip on Seminyak’s upscale crowd. What is it? 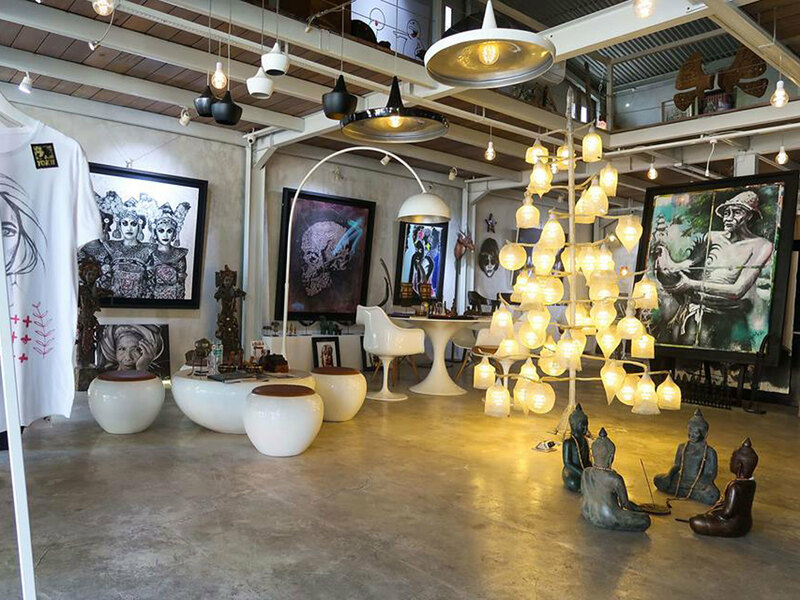 Seminyak’s main pedestrian street offers an eclectic mix of local and international fashion brands, galleries and art shops – with plenty of cafés, bars and restaurants, should you need a mid-retail-session pit-stop. 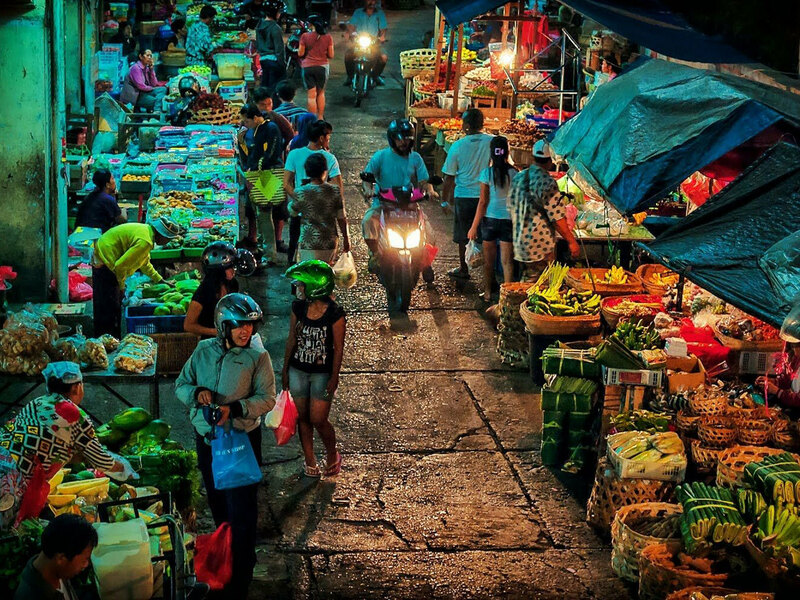 You’ll find Jalan Raya where the northern end of Legian’s own shopping street ends and where the broader road lined with galleries starts. Why go? If you forgot or lost your suitcase en route to Seminyak, don’t stress: stock up on new, improved holiday essentials here on Seminyak’s favourite shopping street.